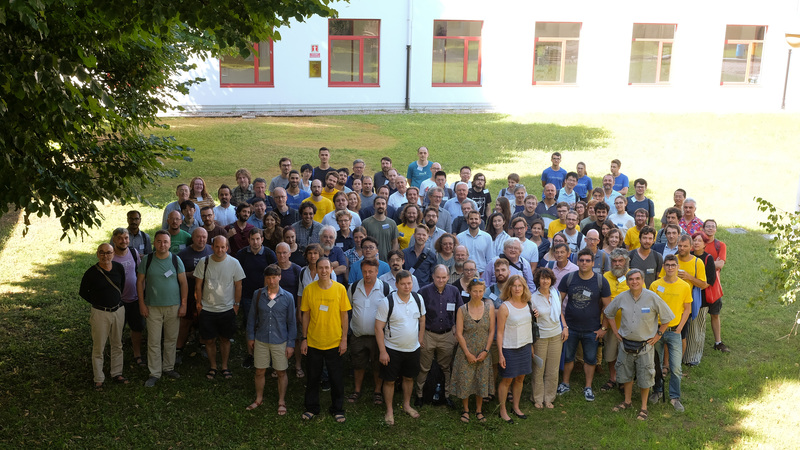 The LOGIC COL­LO­QUIUM 2018 is the an­nual Eu­ro­pean summer meeting of the As­so­ci­a­tion of Sym­bolic Logic (ASL), that will be held during July 23—28, 2018 at the Uni­ver­sity of Udine, Italy. Logic is an an­cient dis­ci­pline that has un­der­gone striking modern de­vel­op­ments through the in­tro­duc­tion of formal meth­ods, stim­u­lated largely by foun­da­tional prob­lems in math­e­mat­ics. Re­cent re­search in other areas such as com­puter sci­ence, lin­guis­tics, and cog­ni­tive sci­ence has also been in­spired by logic, and the LOGIC COL­LO­QUIUM re­flects such ex­panding in­ter­ests. The con­fer­ence pro­gram is on­line! Down­load the poster! You can also down­load the ab­stracts volume and a booklet with prac­tical in­for­ma­tion about Udine and the con­fer­ence. Slides of most of the talks are now on­line! On July 22, 2018, the con­fer­ence will host the Log­ics, types, and se­man­tics work­shop, a sym­po­sium in ho­nour of Furio Hon­sell, on the oc­ca­sion of his 60th birth­day. See the Call for pa­pers for sub­mis­sion in­struc­tions, and learn how to reach the con­fer­ence venue. As the con­fer­ence ap­proaches the end, we thank all the speakers and the par­tic­i­pants of the LOGIC COL­LO­QUIUM 2018 for having been part of this great ex­pe­ri­ence. This web­site will be con­stantly up­dated with the latest in­for­ma­tion about the event. In the mean­time, cur­rent news and fur­ther in­for­ma­tion about ac­tiv­i­ties of the As­so­ci­a­tion for Sym­bolic Logic can be found in the ASL newslet­ters here. For any ques­tion re­garding the event you can con­tact the or­ga­nizing com­mittee at lc18@u­ni­ud.it.